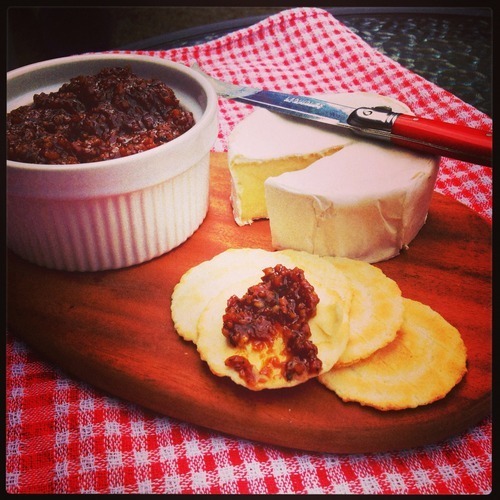 Today I want to share something that sounds absolutely crazy; Coffee Maple Bacon Jam. 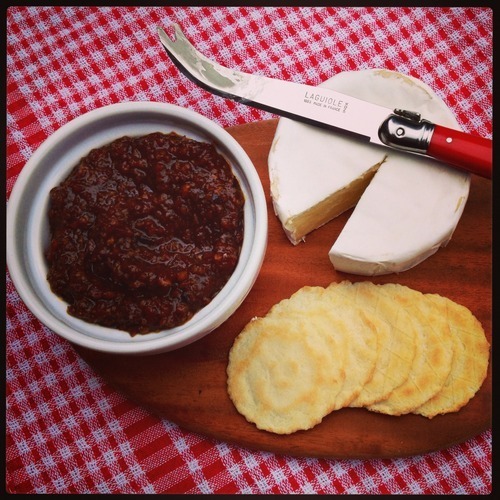 I’m a huge fan of onion jam and caramelised onions, and I do not need an excuse to add bacon to it! I came across this little gem from Tide and Thyme on Pinterest, and I just had to try it. I was a bit worried with the amount of coffee required in the recipe, my entire house was soaked with the smell of roasting coffee for hours. But while the coffee taste is there, it’s not too overpowering and it doesn’t detract from the bacon. That being said, I wouldn’t eat it at 10pm at night, it’s a bit of an eye opener! This version of the bacon jam probably isn’t as smokey as the one from Tide and Thyme, but I’m boiling that down to the type of bacon. Here in Australia, our daily bacon is a completely different cut and flavour to what is available in the US. I just got plain middle bacon from my local Woolies, but if you wanted to get closer to the original recipe I’d recommend using Danish or streaky bacon. This would make a fantastic gift, and as a matter of fact- it did! It was my brother-in-law’s 30th birthday last week, and along with a Turkish Delight Mudcake (may post in the future) he received from my little family a jar of this delightful spread, a round of Brie, a packet of crackers and a bottle of beer to make up a “Working Man’s Cheese Platter”. You could even surprise your Dad on Father’s Day with a jar of this jam, or with just a generous dollop on the side of his scrambled eggs. In a dutch oven or large saucepan, fry the bacon in batches until lightly browned and beginning to crisp. If bacon is sticking to the bottom of the pan or is too lean, use a bit of oil. Place bacon on a plate with paper towel and set aside. Drain all but 2 tablespoons of bacon fat/oil out of the pan. Fry the onion and garlic in the oil on medium heat until translucent. Add the bacon to the onions and garlic, and add the rest of the ingredients except for the water. Simmer for 2 hours adding ¼ of a cup of water every 25-30 minutes or so, and stir regularly.